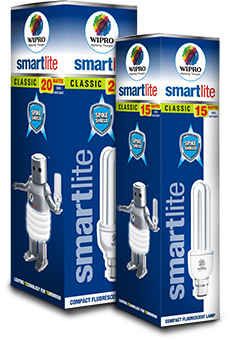 Take a look at our vast collection of Wipro Smartlite CFLs and discover a smarter and brighter way of lighting. Our energy-efficient and long-lasting CFLs are of the highest quality and designed to merge seamlessly with the décor of your room. Our selection includes a variety of classic, spiral, high wattage and 3D range of CFLs that meets all your lighting needs. 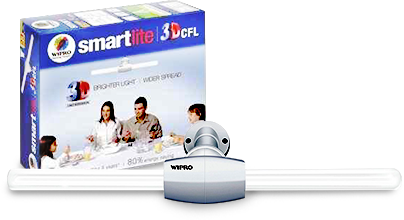 The Wipro Smartlite 3D CFL is an innovation in energy-efficient lighting technology. Its unique 3D light dispersion design provides a wider spread of light that illuminates every corner of your room. 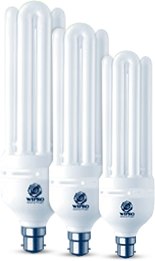 Our Wipro Smartlite High Wattage CFLs give you value for money with their “built to last” design. 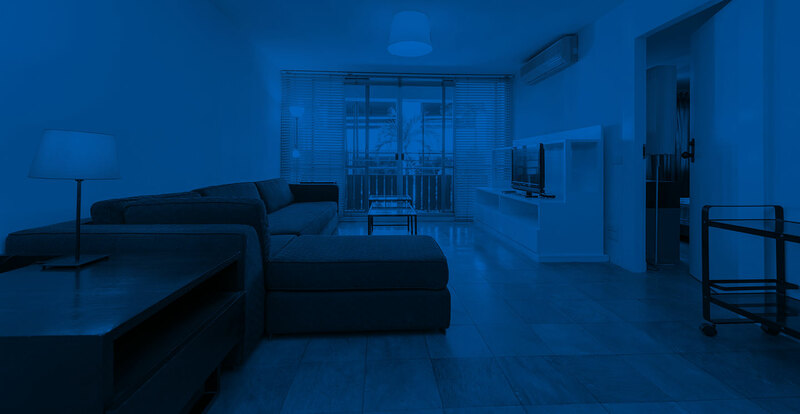 They also provide superior energy savings and quality light output. 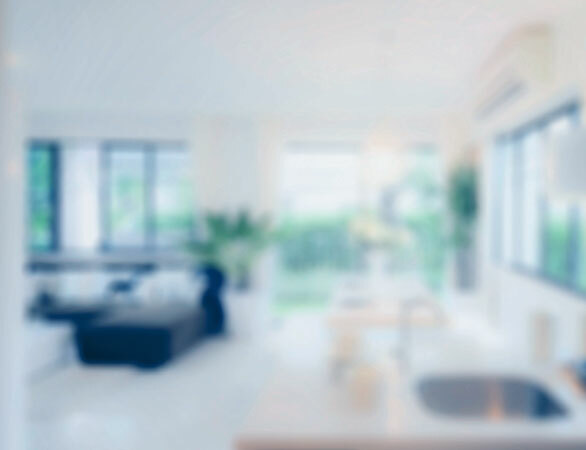 Our high performance Wipro Smartlite Classic CFLs are energy saving bulbs, designed to suit all your lighting needs by providing consistent and long lasting light. 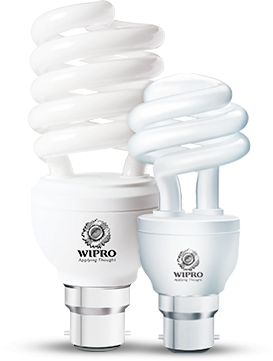 Make the smart choice and switch to Wipro Smartlite Spiral CFLs. They offer higher energy savings and a longer product life, making them an economic lighting solution that compliments your home décor. These spiral CFLs can be used in table/floor lamps and ceiling fixtures, wall sconces and sheltered outdoor receptacles.